Located in Abu Dhabi, the capital of the United Arab Emirates, our multi-award winning venue offers organisers of exhibitions, conferences and events an impressive 133,000 square metres of flexible event space. This abundant space is spread over 12 state-of-the-art, fully interconnected column-free exhibition halls plus an Atrium and Concourse. The venue also boasts a number of outdoor event spaces as well as the stunning Waterfront Quayside. ICC Abu Dhabi can seat up to 6,000 delegates and, with its advanced technology, has staged a number of world-class opening ceremonies as well as live events. We have three large conference halls plus 21 meeting rooms as well as a grand, purpose-built banquet facility that can seat 700 people in a dinner setting. These, together with a range of restaurants, cafes, shops, onsite airport check-in, onsite hotels and business facilities provide a total event solution. ADNEC also features The Hive, its new innovative meeting space that offers its clients and partners a creative space to connect, create, and collaborate. Spreading over an 865 square meter area filled with flexible and modular furniture, 80-seat auditorium, and multiple individually themed private meeting rooms. Furthermore, ADNEC has complimentary in-house services from its own catering company – Capital Hospitality – and event management company – ADNEC Services – to provide a turnkey solution to both organisers and exhibitors. Visitors to ADNEC are welcome to use any of our two on-site car parks, which together can accommodate up to 6,000 vehicles. Our team are on-site 24 hours a day to assist with traffic management whilst a full valet service can also be provided for VIP guests. 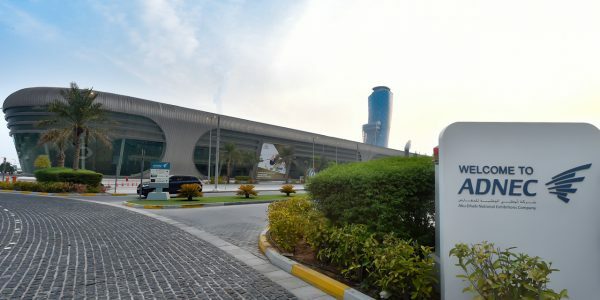 ADNEC is serviced by several bus routes. You can download Darb App to plan your journey. We are easy to get to via Abu Dhabi’s extensive public transport network. 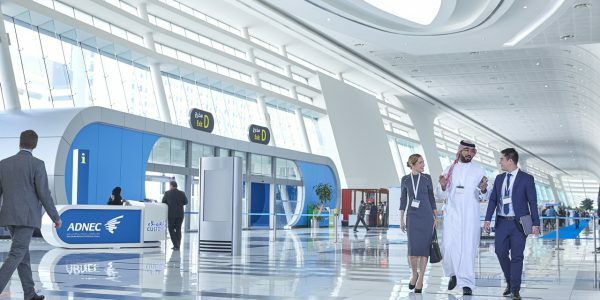 If you are travelling by taxi from Abu Dhabi Airport, ADNEC is just a 20 minute drive. From Abu Dhabi Corniche, ADNEC is located just 15 minutes away. Abu Dhabi’s taxi network is operated by TransAD. To book a taxi through TransAD call 600 53 53 53 or download Abu Dhabi Taxi app. A number of taxis are available from ADNEC at the onsite Aloft Hotel entrance and Andaz Capital Gate. 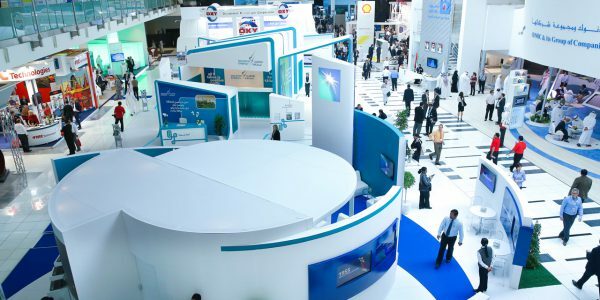 ADNEC is one of the most accessible venues from across the world. We are 15 minutes away from the rapidly expanding Abu Dhabi International Airport, 20 minutes from Downtown Abu Dhabi and 60 minutes from Dubai. Over 50 international airlines operate a schedule of flights connecting Abu Dhabi to more than 80 destinations in 46 countries across the globe. Metered taxis to ADNEC are readily available outside the arrivals hall.